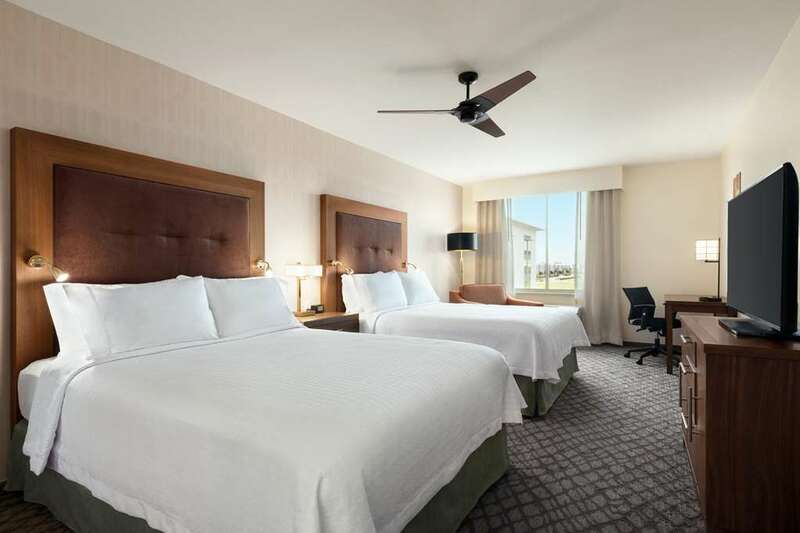 Settle in and stay a while at our new Homewood Suites by Hilton Houston NW at Beltway 8. Enjoy a prime location in NW Houston in the Willbrook District near Willowbrook Mall Westray and Sam Houston Race Park. Northwest Houston is home to many businesses and corporations such as Baker Hughes PMI Pemex Ipsco Tubular and Flotek all just minutes from our hotel. Each stylish suite at our extended-stay Houston hotel features a fully equipped kitchen with a refrigerator microwave two burner stove and dishwasher to make you feel at home. Enjoy separate living and sleeping areas complimentary internet access work desk with ergonomic chair flat-screen TV and a sofa bed. Wake up to our complimentary hot full breakfast served daily and enjoy complimentary evening social* with drinks /Mon Thu/. Stop by the 24-hour Suite Shop for a quick snack or a meal to prepare in your room. Work out in the fitness center take a dip in our outdoor pool or practice your stroke on the putting green. Our beautiful patio is a great spot to relax and soak up the Texas sun or unwind after a busy day. Stay connected to the office from the 24-hour business center. Our hotel in NW Houston also offers over 900 sq. ft. of meeting and event space. *State and local laws apply. Must be of legal drinking age.